Bovis Homes has won a prestigious international award for its Health and Safety performance over the last year. The national home builder, with developments across England and Wales, is among the winners in the RoSPA Occupational Health and Safety Awards 2015, landing the highest accolade available. Bovis Homes has won The Order of Distinction in the annual scheme run by the Royal Society for the Prevention of Accidents (RoSPA), awarded to organisations that have won 18 consecutive Gold Awards. They will be presented with the honour during a ceremony at ExCeL London on June 16. Group Health, Safety & Environment Director at Bovis Homes, Paul Haxell, said: "The award is a testament to our Health and Safety culture - with robust processes in place and rigorous monitoring - and the dedication of staff and contractors to keep our sites and offices safe. "We have a proud record of achievement at the RoSPA awards but we never take anything for granted and while it is always an honour to receive these accolades, our focus is on looking ahead and ensuring we continue to deliver best Health and Safety practice in all aspects of the business. "We stage our own annual in-house Health and Safety awards across the Company, and it says something about the leadership and safety culture here that our Chief Executive David Ritchie has spent many days visiting sites solely to look at Health and Safety for the purposes of these awards - a significant statement of intent on his part. "The goal now is to keep raising standards across the Group to ensure that we remain one of the best performing housebuilders in this field." As the UK's family safety charity, RoSPA's mission to save lives and reduce injuries covers all ages and stages of life. In support of this mission, the RoSPA Awards, which date back 59 years, recognise commitment to continuous improvement in accident and ill health prevention at work. Through the scheme, which is open to businesses and organisations of all types and sizes from across the UK and overseas, judges consider entrants' overarching occupational health and safety management systems, including practices such as leadership and workforce involvement. David Rawlins, RoSPA's awards manager, said: "The RoSPA Awards encourage improvement in occupational health and safety management. 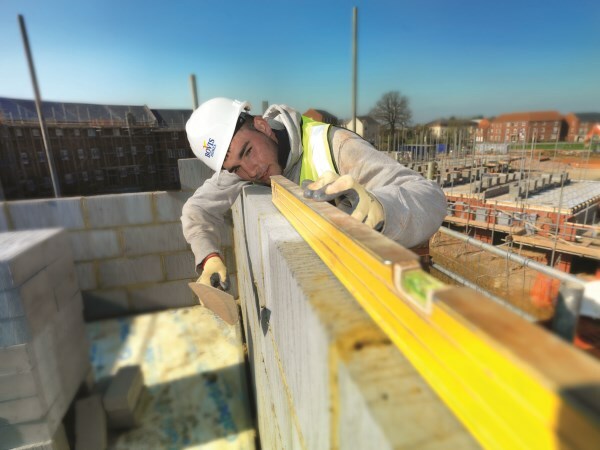 Organisations that gain recognition for their health and safety management systems, such as Bovis Homes Limited, contribute to raising standards overall and we congratulate them."